No room is complete until you have installed a Duratech blind to finish it off. Before you decide anything it is best to think about what your needs are. Do you need the blind to block out all sunlight or do you require just a partial dim? Duratech has two styles of blind to suit your needs. 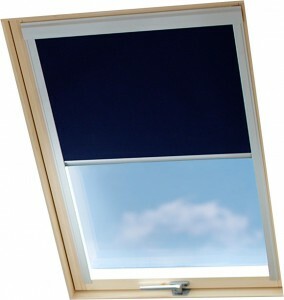 The blackout blind is of a sleek stylish design, with the intention of removing all sunlight from a room when closed. The Duratech roller blind is produced to partially allow light into a room when a full blackout is not necessary. Both types of blinds are available in three different colours blue, beige and white and are designed with elegant aluminium profiles. All blinds fit all Duratech windows so whether you have a top hung window or a white uPVC rest assured that the Duratech blind will fit. All Duratech blinds have a two year guarantee from date of purchase. Roller blinds have three separate locking positions. Blackout blinds use a push-click system to stay in place.